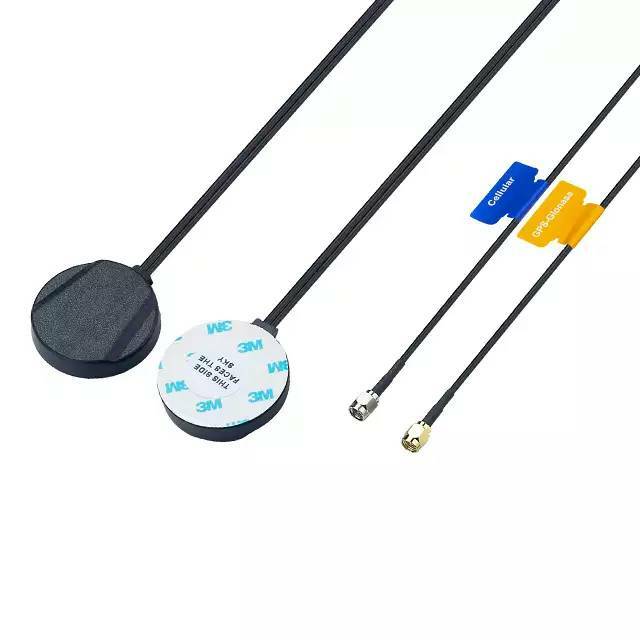 This is a 2in1 combination high performance GPS/GLONASS and Penta-band Cellular (GSM /CDMA/PCS/ DCS/ / UMTS / GPRS / EDGE / HSPA) antenna to simplify AVL or Fleet management antenna systems worldwide. Its high quality low profile covert housing can be attached onto the glass or even out of sight under the dashboard. This combination of a high gain GPS/GLONASS antenna and a leading edge penta band cellular antenna is ideal for those applications that require durability, small size and covert installation, and reliable reception and transmission crossing through different mobile networks. The standard version has 3 metres RG174 cable and SMA(M) connector on both GPS/GLONASS and Cellular. The cables and connectors are completely customizable according to customer requrest.